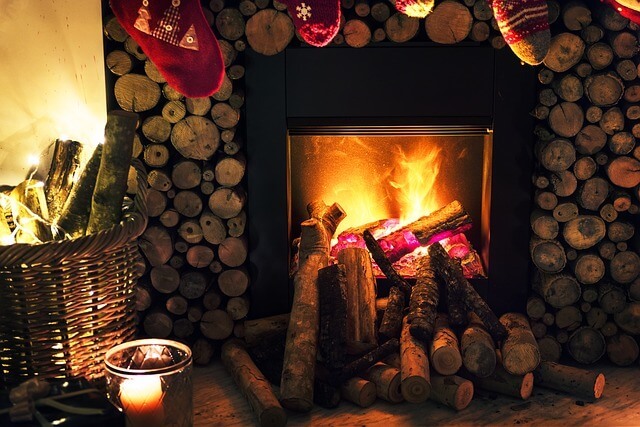 Installing a fireplace at home in the first world countries is pretty common, and it plays a huge role in preserving the hotness at the house especially when the Winter season is starting. However with its usability, is it worth it to give a shot? Sure this stuff is cool, but installing it on the house can hurt our wallets hard. The actual installation of it will cost you a minimum of $20,000 because a factory built propane or gas unit charges the owner more than $2,000 and do not forget that the materials used are only basic. You also need to hire a skilled tradespeople who can cut a hole in your exterior wall, build a chimney and install a fireplace. Imagine the money that you will use in building a fireplace is almost the annual salary of ordinary workers today. That’s not all, the maintenance cost of it is pretty high. Chimneys need to be cleaned regularly because if not, it can be the primary cause of having fire accidents. Usually, the cost of it starts at 100 to 300 bucks which still depends on the experience and how big it is. Yes, it is energy efficient. It also cuts the heating load of residential homes by 25 percent. An education director named Ashley Eldridge also said that burning wood is zero carbon footprint, which makes it eco- friendly. Remember movies like Harry Potter and Titanic? They have a scene that is in the middle of a fireplace. A lot of people likes having some sweet and small talks near it because the night is always cold, and that is why engaging a conversation near furnace is a better thing to do. Some people make it as a drinking ground, where they toast wine with their loved ones while having a good time. For better results, it is best to put it near modern lights and lamps to boost up the lightings of your home. Aside from the regular cleanup of chimneys, the owner must also buy woods for the fireplace to burn. A cord of wood will cost you $225 that can last for two weeks which still depends on the climate and how much heat it produces. If you use electric fireplace which creates fake fire, you will not have a problem with buying woods, but your bills might go high. Thus, it also defeats the main reason why it is invented. The actual cost of your electric bill is cut down, but the maintenance is quite high, isn’t it contradicting? Well, the good thing is you still conserve energy, helping to save the environment and producing natural heat. Also, read: How to Clean Unfinished Wood Floors?